This past Saturday morning, I got together with Nichole and her precious little girl Rachel for a mother-daughter session. We met in a local Greensboro neighborhood park where we had plenty of shade and a bit of a breeze. Being not quite four, we weren't sure how Rachel would do, but she did a great job and we had some fun with it (with jellybeans & lollipops too!). We've been trying to get together for some time now, and I'm glad we were able to make this happen before the summer got too busy for everyone. With this session, I photographed Nichol & Rachel as things were happening naturally and these always make for some sweet moments. The cutest one I believe is of Nichole doing the Namaste yoga pose (she is training to be a certified yoga instructor), with Rachel falling into the same pose. Especially the one of her smiling and looking at her mother. Adorable! Thanks for giving me the opportunity to capture your memories, Nichole and Rachel! Please contact us if you'd like to do the same. We still have some summer dates opened! 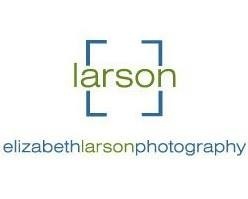 all images © Elizabeth Larson Photography 2018 | Greensboro Wedding & Portrait Photographer | Serving all of NC, SC, VA, & beyond! contact us to schedule your summer session with us! Alyson - These are sweet! Looks like you all had fun. Kayli - They are so cute! I also love how their outfits match! Megan C King - Aaaahhhhhh beautiful photos and such a sweet session!